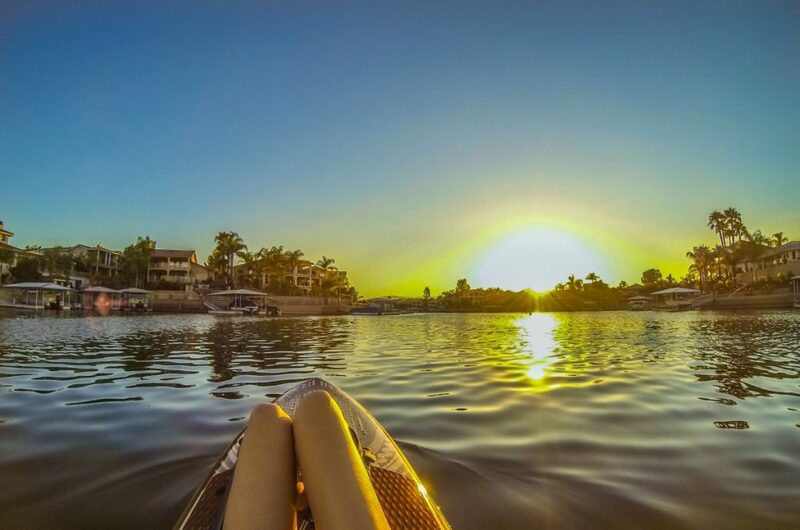 ​With so much going on in Canyon Lake, it's hard to think of everything someone would want to know about the community but you can click the tabs below to see our list of frequently asked questions that cover a lot of the important things, starting with our favorite feature - The Lake. Q. Does the city or community of Canyon Lake own the lake? A. Canyon Lake leases the surface rights to use the lake from the Elsinore Valley Municipal Water District, who owns the lake and the water. The current lease expires in December 31, 2066 with options to renew for another 44 years. Q. How many miles of shoreline does the lake have? A. The lake has 14.9 miles of shoreline. Q. What year was the dam built? A. The dam was built in 1929. Q. How deep is the lake? A. The lake averages 30 to 40 feet with the deepest area near the dam approximately 80 feet deep. Check the current lake level ​here. Q. What kind of fish are in the lake? A. The lake is stocked with bass, crappie and channel cat. Bluegill can also be found in the lake. A. The San Jacinto River, Salt Creek and if necessary the Colorado River. Q. Will the lake always be private? A. There are periodic lawsuits brought by those who assert the lake should be open to the public. So far none have been successful. The Property Owners Association is committed to protecting the private property rights enjoyed by the Association’s membership. Please contact the Canyon Lake Property Owner’s Association at 951-244-6841 for more information. Q. Do you have to be a property owner to put a boat on the lake? A. You either have to be a property owner or have a one year or longer lease. The property owner must assign the right to use the amenities to you. Q. How many boats can you have on the lake? A You may have two boats on the lake but only one over 25 horse power. The maximum boat length is 21.5'. Q. Are jet skis allowed on the lake? A. There are no jet skis allowed on the lake. Currently you may use boats, kayaks, and paddle boards. The closest lake where jet skis are allowed is Lake Elsinore. Q. How do non-residents get into Canyon Lake? A. All non-residents have to be called in by a resident or be accompanied by a real estate agent. Once a non-resident is called in and is on the guest list, they can obtain their guest pass at any of the 3 entrances to the community by showing their drivers license and giving the address of the resident who called them in. Q. How do residents get into the community? A. Residents have car decals or RFID transponders that allow them to enter at any of the gates by using the resident lane. Residents also have membership cards that they can show at the gate for access and my also be required to show at other places in the community like the lodge swimming pool and golf course. Q. How many lots are in Canyon Lake? A. There are approximately 4855 lots including condos. Q. What are the high and low temperatures? A. The average low in January is 38.3° while the average high in August is 98.3°. Q. What is the elevation of Canyon Lake? A. The elevation is approximately 1384 feet. Q. What is the acreage of Canyon Lake? A. Canyon Lake is approximately 2017 acres. Q. Is there natural gas available? A. Although natural gas is in Railroad Canyon Road, it was not installed until a few years ago, so none of the lots in Canyon Lake have natural gas. Most of the homes are all electric with a few using propane. Q. What does my association dues pay for? A. The association dues pay for the maintenance of all the common areas, streets, security, legal fees, liability insurance and association employees salaries as well as the lake lease. Q. How much are the Canyon Lake dues? A. As of ​May 2018 the monthly dues are $248 monthly or $2856 annually. Q. How many members are on the association board of directors and how long are their terms? A. There are 5 elected members on the board of directors who serve two year terms. Q. How safe is Canyon Lake? A. ​We are not crime free. However, our averages are usually lower than state and local averages and the city has been cited as one of the safest cities in California many years. Please contact the Canyon Lake Police Department at (951) 210-1000 for more information. Q. Can I be personally held responsible if the association is sued and is there enough insurance to cover the judgment? A. You cannot be held personally responsible, but the Property Owners Association can issue a special assessment if the need arises. Q. Are there any bonds or assessments? A. There are special assessments for water, sewer and refuse included on the yearly tax bill. Q. Can the association dues increase? A. The dues do not necessarily increase every year, but they can. They usually do not increase more than 10%, but they may in certain circumstances. Q. Are motorcycles allowed on the streets in Canyon Lake? A. No. Motorcycles are not allowed on the private streets within the gates. There are lots at the gates for the parking of motorcycles. Q. Does Canyon Lake have sewers or septic tanks? A. All of Canyon Lake is on sewer. ​Q. Where does Canyon Lake’s drinking water come from? A. The drinking water comes from wells in Lake Elsinore and periodically from Canyon Lake. The water treatment plant can be seen above the dam. Q. How many parks and beaches are there in Canyon Lake? A. There are 20 beaches and parks. Q. Is there a place to board horses in Canyon Lake? A. Yes. There is an equestrian center located near the North gate where you may board and ride horses. Occasionally you will need to be placed on a waiting list for a spot. There are riding trails in the hills outside Canyon Lake. Q. How many camping spaces are in the campground? A. There are 105 campsites complete with full hookups. Q. Who is allowed to use the campground? A. Property owners and their guests. Q. Can you reserve a campsite? A. Yes. Reservations are permitted. Q. Can you live in the campground while you build a home? A. Yes. You may live in the campground for a maximum of six months. Q. Is the golf course private? A. Yes. The Canyon Lake Golf Course is private but the driving range and clubhouse are open to the public. For the first time, there are a limited number of annual memberships sold to non-members. Q. What is the rating of the golf course? A. The course is SCGA rated "Good." Q. What is the cost for a round of golf? Q. What is the cost to store a boat or RV at the storage lot? A. ​Contact Canyon Lake Storage for current pricing and availability at 951-244-5575 or visit their website at www.canyonlakestorage.info. Q. What school district is Canyon Lake in? A. The Lake Elsinore Unified School District. Q. What schools will my children attend? A. The public schools that most kids attend are Cottonwood Canyon Elementary, Tuscany Hills Elementary, Canyon Lake Middle School, and Temescal Canyon High School. Please call the district office to verify the school your children would attend or use the school district's convenient school locator. Q. Where are the closest hospitals? A. There are hospitals in Wildomar and Menifee. Q. Where are the closest supermarkets? A. The closest market is approximately ½ mile away in Canyon Hills. There is a smaller market with a deli and meat department located in the Canyon Lake Towne Center across from the Main Gate. Q. Where are the churches located? Q. Where is the closest major airport? A. Ontario International Airport in the city of Ontario, about 40 minutes away. Q. Where is the closest place to see a play? A. Canyon Lake has its own theater group comprised of many talented people from the local area that perform several times a year. There is also a play house in Temecula. Q. Where are the closest restaurants? A. There are restaurants in Canyon Lake and the local cities of Menifee, Lake Elsinore, Murrieta and Temecula. Q. Where are the closest colleges? A. The closest college is Mt. San Jacinto Community College in Menifee, about 20 minutes away. Riverside City College and the University of California, Riverside are approximately 45 minutes away. ​All information is thought to be accurate, but is not guaranteed. Please consult appropriate agencies to verify.